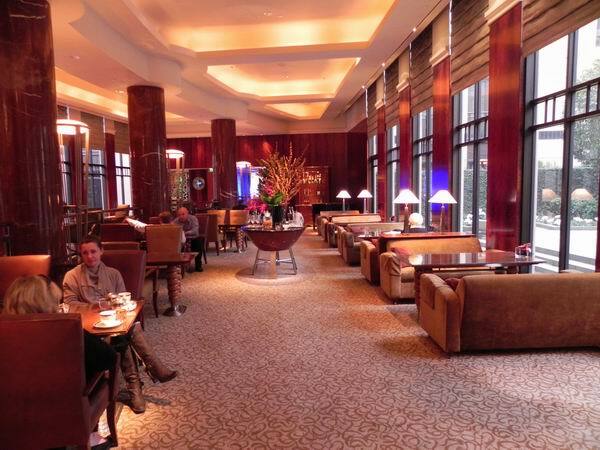 If you are wanting to escape the hustle and bustle of our busy city centre, take a leisurely stroll up through the Paris End of Melbourne to the luxurious Park Hyatt for their delicious High Tea. The Park Hyatt boasts the largest hotel room accommodation in Australia and the art deco furniture and incredible art really set the mood when you walk into the huge foyer. High tea is served between 2.30 and 5.00 and during the week you can indulge in the delightful Tea Lounge, overlooking a garden courtyard with fountain. 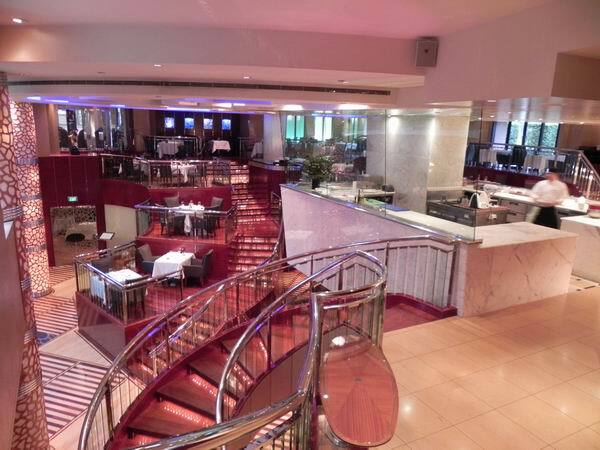 On the weekends High tea is located in the decadent Radii Restaurant. Alternatively you can have your tea in the Lounge and enjoy the pianist who plays on weekends. The staff are incredibly friendly and attentive. On arrival we were offered a sparkling glass of Chandon Brut from the Yarra Valley. Shortly after our selection of delectables arrived on 3 tiered gold rimmed fine bone china. On the top tier were blueberry friands, pecan nut tart, lemon meringue tarts, orange chocolate mousse and short macchiato macaroons. The middle tier had an array of crustless finger sandwiches on white and wholemeal breads, including smoked salmon, cucumber and mustard creme fraiche, egg, mayonnaise and watercress, gypsy ham and swiss cheese and smoked chicken with avocado. Finally we had the lightest and fluffiest warm scones, plain and sultana. Delicious home made jams accompanied the scones, raspberry and apricot, with a big dollop of King Island cream. 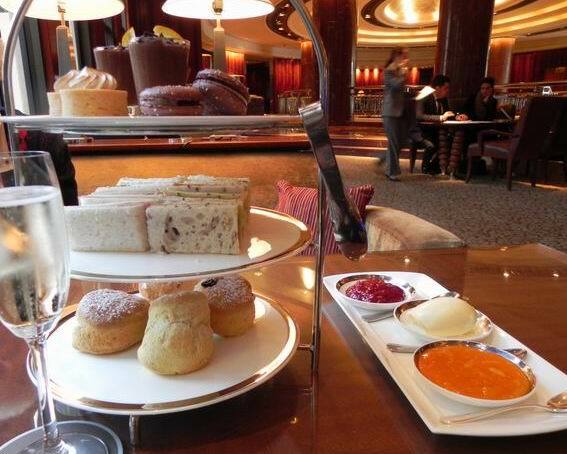 The Park Hyatt serves a bottomless cup with a selection of 13 teas on their extensive hot beverages menu which includes black, organic, loose leaf and herbal. 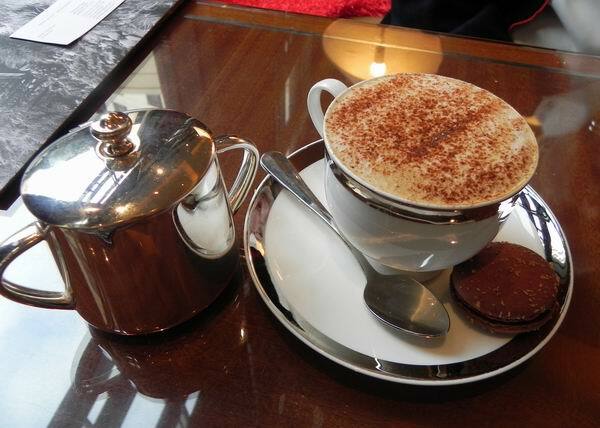 Vittoria coffee is served at the Park Hyatt. There is plenty of parking around the hotel and a carpark in St Andrew's lane. For a nominal fee the valet will park your car on site. Recently appointed Executive Chef Dane Clouston said there will be a new high tea menu in July - also a festive Christmas high tea leading up to December.